Remember when Mariah Carey wore those ugly red snow boots in Aspen? (If not, please click here). Too much fur and that bright red color just do not look cool, at all. Luckily, we supply snow boots that are fashionable (this year, fur is in!) while also being realistic. 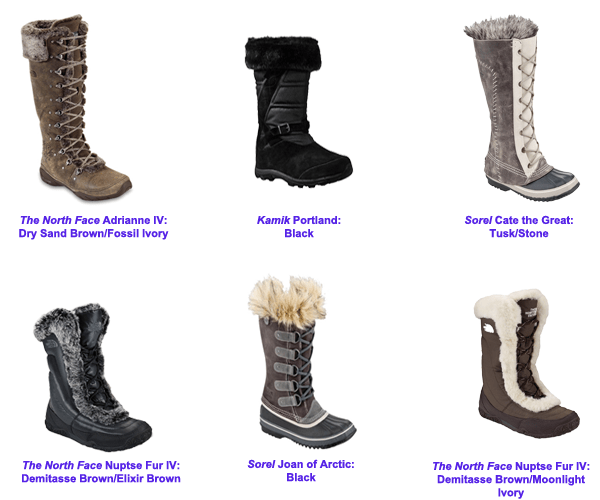 Check out six awesome boots, from The North Face, Kamik, and Sorel. You will not be disappointed!